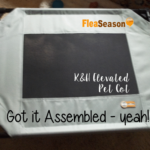 Learn how to get rid of Dog Fleas and Kill Fleas in the house, plus learn what you need to do to keep Fleas from returning. 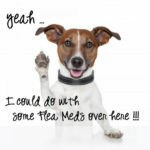 Fleas on dogs can become a huge problem both for your dog and for you, especially if you find Fleas in the house. 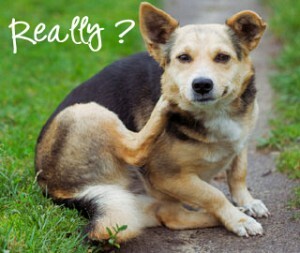 How can you tell if your dog has fleas? 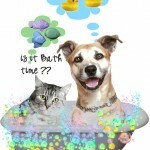 If your dog has been scratching a lot and you suspect they have Fleas, go ahead and give your dog a bath. Watch for Fleas heading toward your dog’s head or crawling up your arm. The Fleas will try and escape the water. FYI: Flea waste is digested blood. If you find any little brown spots in your dog’s hair or on their skin – place the brown spots on a wet paper towel. 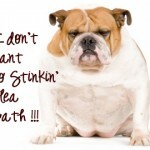 If the brown spots turn a pinkish-red, if they do – this is Flea waste and your dog needs a Flea bath. Read about the Lifecycle of a Flea and take a look at some Pictures of Fleas. A severe or prolonged Flea infestation can kill a dog. A multitude of Fleas have the potential to cause anemia so severe a dog will die without a blood transfusion. Fleas feed on blood. The dog is a blood bank for the Flea. 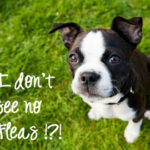 Fleas also carry diseases such as tapeworm and heartworm, both of which can be fatal to a dog. 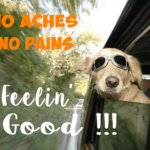 If your dog or puppy appears listless or week, and you know Fleas are present – take your pet to a Veterinarian as soon as possible. 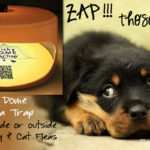 Give your dog a Capstar tablet that provides treatment of flea infestations on dogs and puppies, cats and kittens four weeks of age and older and two pounds of body weight or greater as well as for pregnant or nursing dogs and cats. Capstar is a fast acting formula that begins working within 30 minutes and will kill almost all adult fleas within four hours of ingestion. If your dog is re-infested with fleas, you can safely give another dose as often as once per day. Frontline Plus or Advantage II . When choosing a Flea treatment read the label before you buy. Look for the ingredient IGR (Insect Growth Regulator). 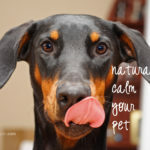 IGR is the most important part of the whole flea control process and without it – all Fleas will not be killed, and they will absolutely come back in a few weeks. Thoroughly de-Flea your house and yard to prevent a Flea re-infestation. Wash everything in your house your dog touches, in hot water. Place in dryer on a high-heat dry setting. Vacuum your house thoroughly several times. Don’t forget to vacuum and treat any places your cat spends time, such as your car, the pet carrier, garage and/or basement. 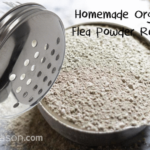 Spray corners of house and carpet with a Natural Flea Home Spray , or lightly distribute Diatomaceous Earth (food grade). Treat your dog with a monthly Flea treatment such as Frontline or Advantage to keep Fleas away. Continue to vacuum your house thoroughly several times a week to pick up Fleas that haven’t hatched yet, and you missed getting with the first vacuuming. Also wash your dog’s bedding and toys often. Revolution for Puppies & Kittens prevents against heartworms too! 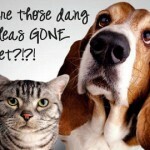 Capstar starts killing Fleas quickly – in 30 minutes!